Hello to everyone, who is reading this. 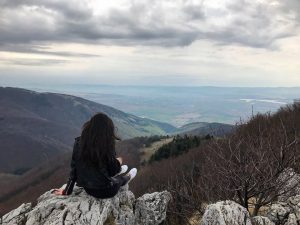 My name is Bella, I am from Russia and I want to share with you the story about my travel to Bulgaria. 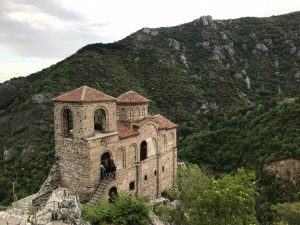 As a FLEX alumni I cannot live without traveling and meeting new people, so when I was told about the opportunity to go to Bulgaria I applied immediately. After the interview with the representatives of Varna University of Management I was chosen for the Erasmus+ program and the adventure began. 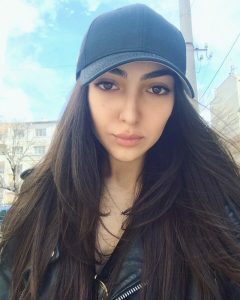 When I first arrived to Dobrich I was disappointed, because it was very COLD here, the city was empty and it seemed that there was absolutely nothing to do here. Then, during the first week, I started meeting other students and teachers, communicating with them, having fun and suddenly I started seeing only good things about this place. After two weeks I gained a lot of friends and realized how hard it will be to go back home. But then I decided simply not to think about it and enjoy my time here as much as I can. 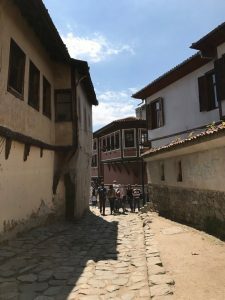 When Spring came I started traveling through Bulgaria and visited a lot of amazingly beautiful places, such as Nesebar, Plovdiv, Devetashka Cave, Veliko Tarnovo and many others. That was the time I irrevocably fell in love with this country. The program not only gives students a chance to travel, but also helps to widen the horizons, learn from each other, gain a lot of friends in different parts of the world and destroy stereotypes and prejudices. In the end, I would like to add that I am very greatful for the opportunity given by Erasmus+ and I will never forget these four months. 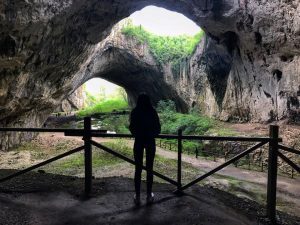 This entry was posted in Blog and tagged #Bulgaria #Dobrich, #Erasmus #Erasmuslife, experience, travel, vum. Bookmark the permalink.